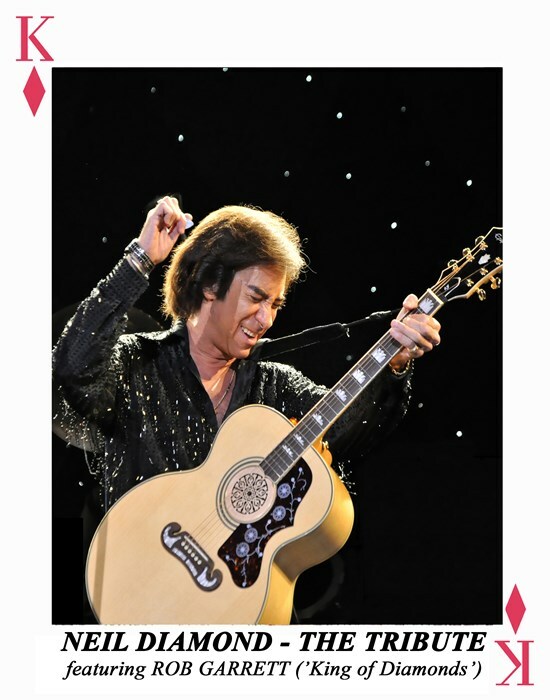 Long time Las Vegas performer and Legends in Concert alumni, ROB GARRETT, is America's #1 NEIL DIAMOND tribute artist and is unparalleled in his portrayal of the legendary performer. From Vegas to Honolulu, to New York, to Berlin… Rob has come to be known as the 'King of Diamonds' as he is able to naturally capture the presence, passion, and energy of this iconic performer in all his youthful 'JAZZ SINGER' glory. Those who have witnessed Rob's unparalleled performances will testify that YOU SIMPLY CAN'T GET ANY CLOSER! 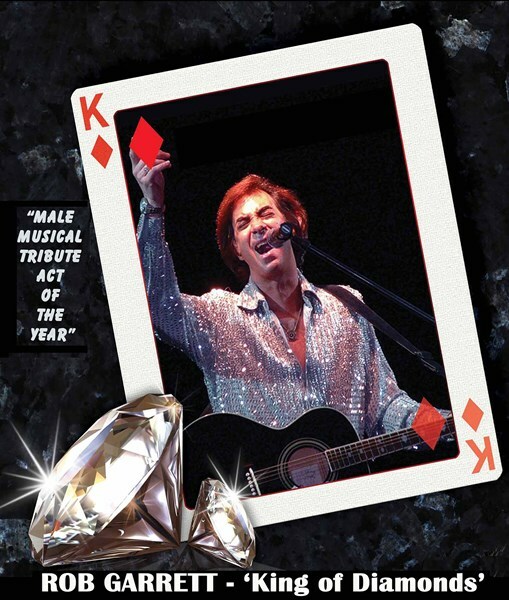 In 2008 Rob was awarded with the "Male Musical Tribute Artist of the Year" award in Las Vegas marking the first (and only) time a Neil Diamond tribute act has won such an honor. 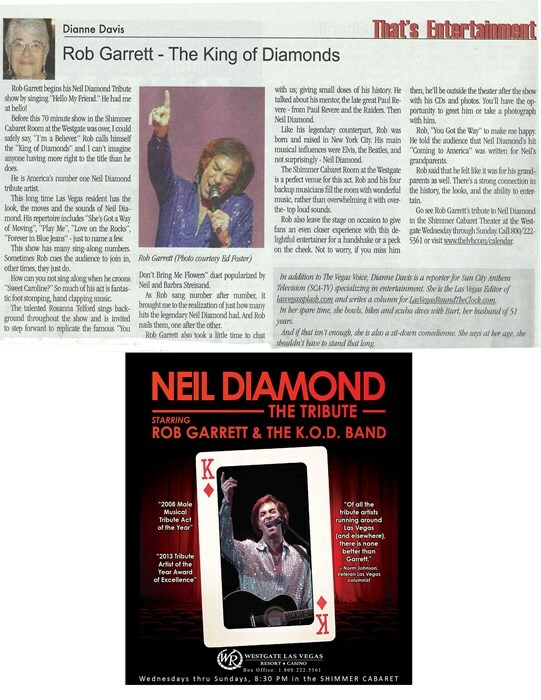 Please note Rob Garrett as Neil Diamond will also travel to North Las Vegas, The Lakes, Henderson, Blue Diamond, Boulder City, Jean, Indian Springs, Overton, Dolan Springs, Moapa, Logandale, Tecopa, Pahrump.